Through digital health network in East Africa, the Aga Khan Health Services in collaboration with AKDN Digital Health Resource Centre plans to implement digital health services in Mombasa, Kisumu, Nairobi in Kenya and Dar es Salaam and Mwanza in Tanzania. 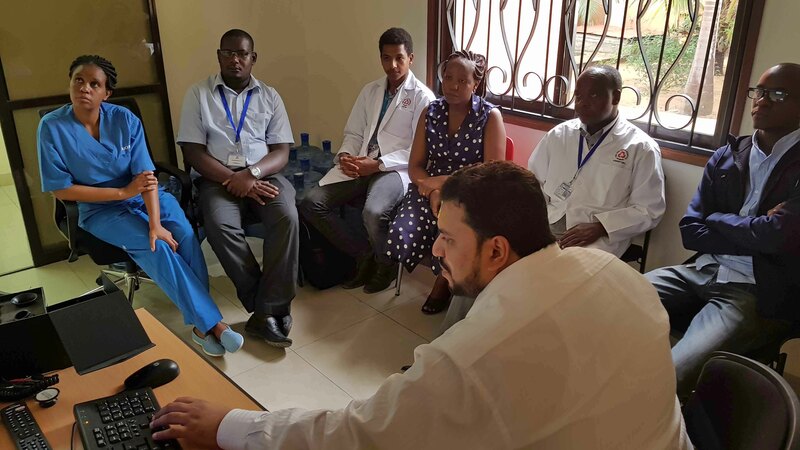 In July 2018, the AKDN dHRC team visited Kenya to implement and initiate digital health services at four sites. The Aga Khan Hospital (AKH), Mombasa was connected as a hub site to three spoke sites, Kilifi Health Centre, Akunda Health Centre and Aga Khan Academy in Mombasa for teleconsultation services in various specialties. Connecting AKH, Mombasa with the Aga Khan Academy for family medicine services marks the first connection established between Aga Khan Health Services and Aga Khan Academies. During implementation, activities conducted at each site include digital health services’ room identification; training of physicians; and installation of LCD screens. A digital stethoscope and a multipurpose scope was also provided to each of the spoke sites to aid with diagnosis during teleconsultations. Digital health services have been initiated in East Africa as a component of an ambitious expansion strategy that the Aga Khan Health Services, East Africa (AKHS, EA) has rolled out. In terms of the digital health network to be created in East Africa, AKHS, EA in collaboration with AKDN dHRC plans to implement digital health services in five clusters, Mombasa, Kisumu, Nairobi in Kenya and Dar es Salaam and Mwanza in Tanzania. Plans are to implement and initiate telemedicine services at the Voi Outreach Centre in Kenya in late-2018.